Exeter boss Paul Tisdale says it was a hard decision to release Aaron Dawson. The 22-year-old midfielder, who had been at the club since he was a schoolboy, has left after playing 20 games in the past three years. Dawson's last game was when he started against Coventry City in October. "There comes a point when it's in everyone's interests, as much for the player as for the club, that someone has the opportunity to make that new step in their career," said Tisdale. 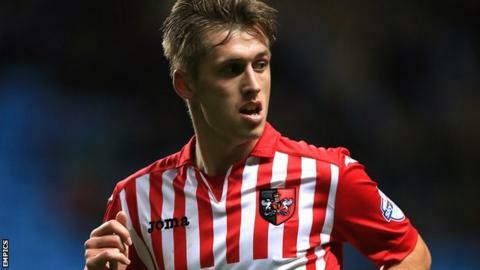 "When you consider someone has been at the club a long time, not only as a professional and as an apprentice, but before that as a schoolboy within the centre of excellence, and committed themselves to the club, and been determined to make it, it shouldn't be considered an easy decision," Tisdale added to BBC Sport.